Wednesday, Jan. 23 at 7:30 p.m.
1. Will the Capitals be able to avoid coming out of the gates sluggish? On Tuesday, it only took the Sharks 12 seconds into the first period to get the puck past goalie Braden Holtby. As NBC Sports Washington’s J.J. Regan pointed out, for a team that is currently on a losing streak, it’s hard to gain confidence when immediately playing from behind just seconds into the game. 2. Wednesday’s clash with the Maple Leafs marks the last time the Capitals will take the ice before the All-Star break. Washington certainly does not want to enter the weeklong break having dropped seven consecutive games. While Wednesday may not actually be a must-win game for the Caps, it sure feels like one. 3. Opponent to watch: John Tavares. The Toronto center has just three total points over the last five games, but remains one of the most dangerous players in hockey. For the Caps, stopping Tavares is the first order of business against the Maple Leafs. Toronto defeated Washington 4-2 in October. For Toronto, both Auston Matthews and Kasperi Kapanen each tallied a goal and an assist in the victory. 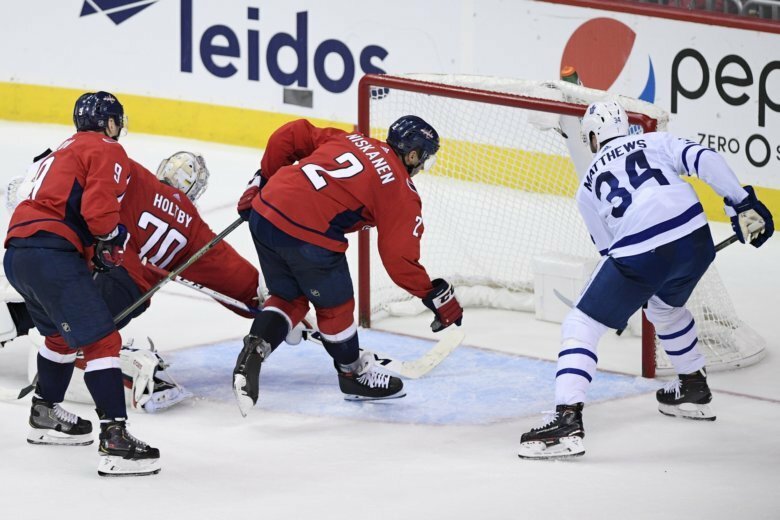 Over their six game losing streak, the Caps have allowed an average of 5.0 goals per game, including seven or more goals in three of the last four contests. Listen to a podcast on the Caps’ loss to the Sharks here.